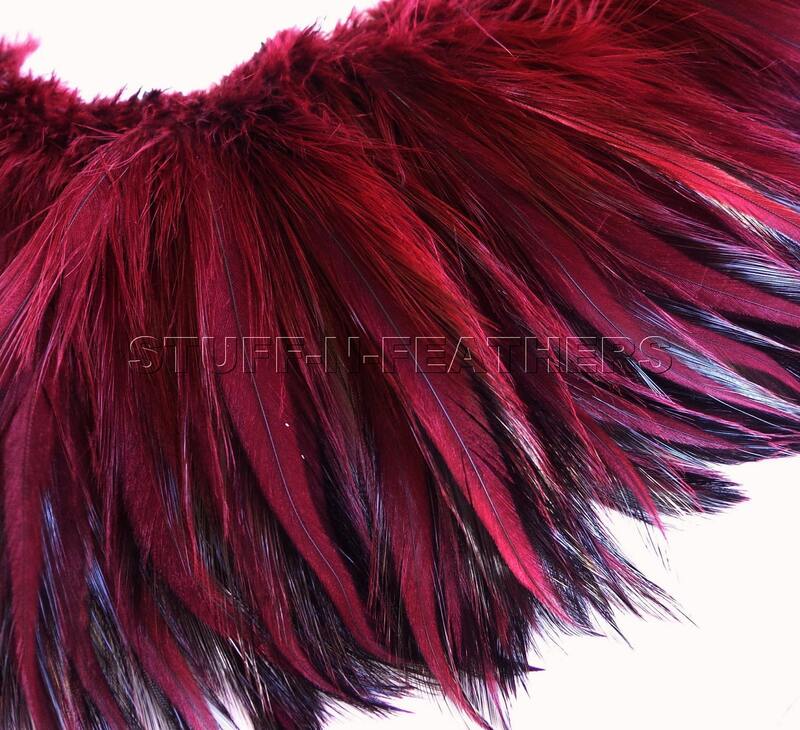 This is a listing for 2” (5 cm) strip of strung premium Rooster hackle feathers – red wine. This is a gorgeous rich luxurious color – you will be amazed! There are approximately 70-90 feathers in each bundle. 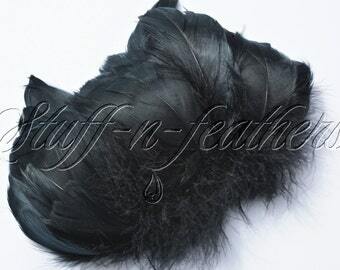 This style is sewn on a small cord for easy application but can be easily separated into individual feathers. These feathers have a soft base leading to a smooth pointed tip. They have a silky soft texture, thin stem and are very soft and flexible. 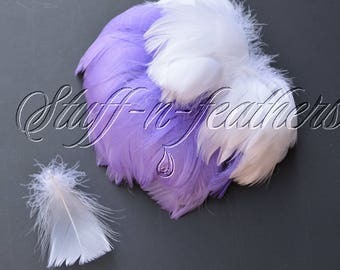 These feathers are dyed over furnace feathers wish gives them unique look with distinct middle part looking more matte and silky more shiny edges. These are thickly strung feathers - a large number of feathers in a small section. It’s a great value considering amount of feathers per inch! *Feather length is measured from tip to tip when the feathers are strung. Feathers in the package you will receive can be anywhere in the described range. They will vary from order to order depending on the length in stock. ***Strung feathers are densely packed together and connected with a thread or a small cord, but they can be easily separated into individual feathers. When you compare different feathers keep in mind that strung feathers have MUCH greater amount of feathers per inch than a trim or fringe. You can use them for a variety of craft projects, home décor, jewelry making, hair extensions, hair accessories, millinery, fishing and etc. These are beautiful and just as described! These feathers are the perfect color - just like the picture. I needed them fast for a project that is due, and they arrived early. Thanks so much!